"Set aside the Barbie Dolls and the Disney Princesses for just a moment, and let’s show our girls the REAL women they can be." In honor of her daughter's 5th birthday, Jaime produced a series of portraits in which the young birthday girl embodied historic real-life sheroes, including Susan B. Anthony, Helen Keller, Jane Goodall, Amelia Earhart + Coco Chanel. 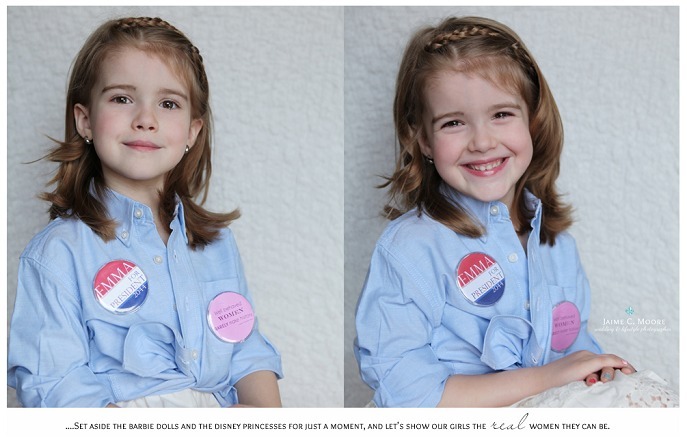 Jamie shared the results in a blog post, including this last photo ~ of Emma imagining herself running for president. See the whole series and the inspiring story behind it at Jaime's photography website! Being a princess is not a realistic dream for the majority of the world's girls. 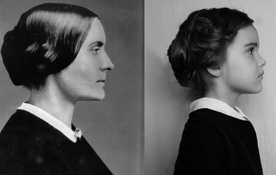 But, all of them have the power to be real-life change agents, like suffragist Susan B. Anthony.